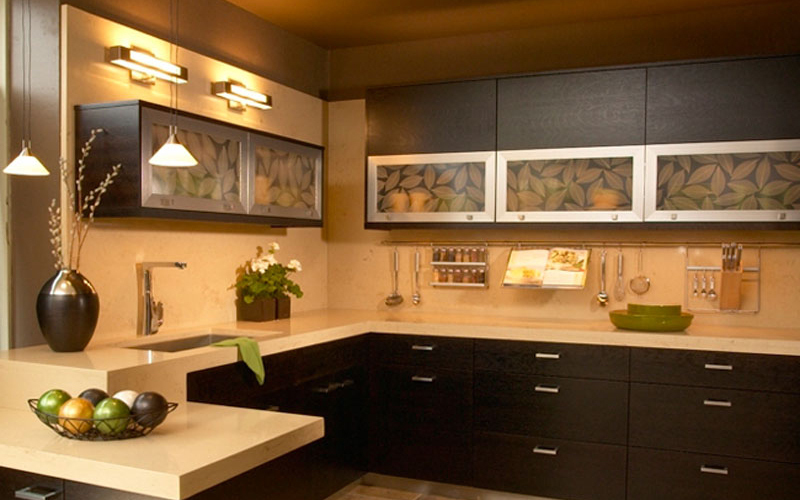 This contemporary residential kitchen features back painted glass AF010 Oil Rubbed Bronze doors. The custom °elusion boarder wine cellar door with bronze gloss back painted low-iron clear glass creates a stunning focal point for this room. 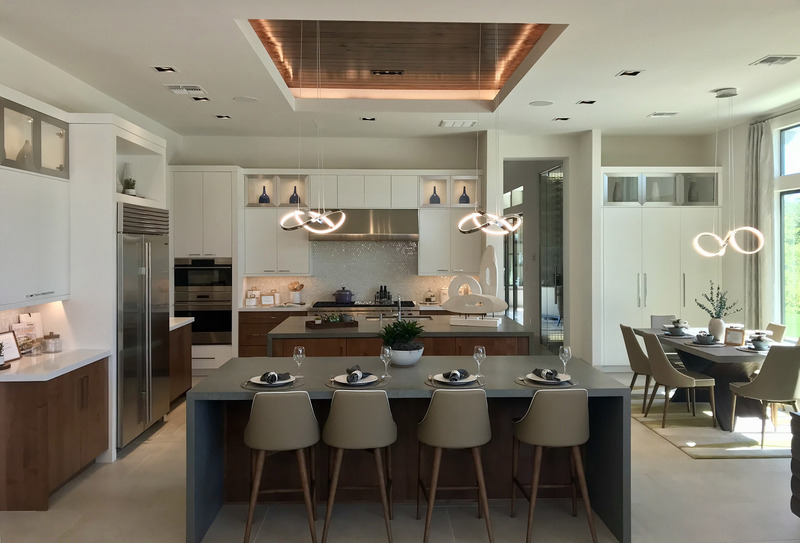 The °eluma LED shelves, shown on the left, lend well to the open concept design and create a smooth transition into the entryway and dining room. Image courtesy of Simmons and Company. This sleek modern kitchen features a back wall of aluminum frame glass doors and drawer fronts in our AF010 full glass overlay profile with white matte backpainted glass inserts. The AVENTOS HF upper cabinet doors feature both the AF010 full overlay opaque white backpainted glass doors as well as AF009 profile cabinet doors with low iron clear glass to further create a strong horizontal design aesthetic. 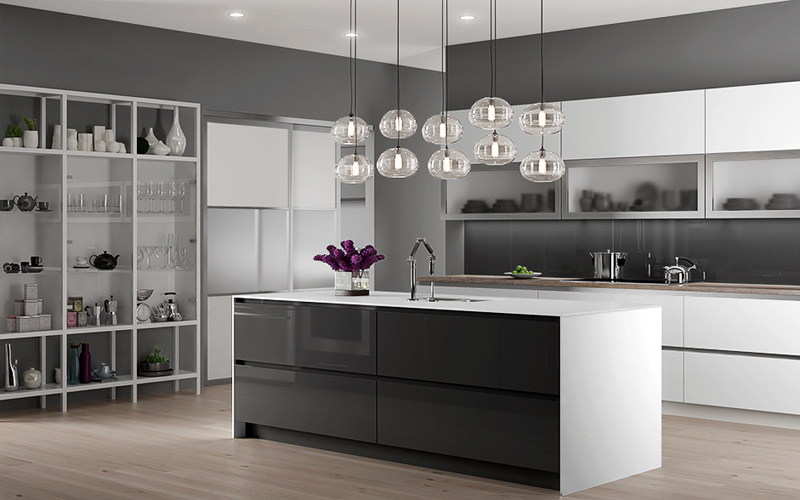 The high gloss PARAPAN® doors in the island add contrast in the anthracite color as well as the reflective quality of the material versus matte glass. The aluminum frame base systems with white powder coat finish add interest as a shelving unit and storage solution with the addition of solid glass doors to maintain the open shelving concept while providing functionality of doors to keep contents in a contained environment. The white matte backpainted glass waterfall countertop and charcoal gloss backpainted glass backsplash complete the look with the beauty and durability of backpainted glass. This modern artistic kitchen features all backpainted glass drawer fronts and doors along with AF006 elusion aluminum frame up opening doors. The GOLA aluminum channels are a polished complement to these drawer fronts. Image courtesy of Paramount Woodworking. These beautifully crafted AF003 aluminum frame cabinet doors in chrome finish with clear glass inserts provide a bold accent in this kitchen design. In addition, the featured aluminum frame base system in oil rubbed bronze finish adds a modern appeal to kitchen, bath, closet and furniture applications. Image courtesy of Plain N Fancy Cabinetry. 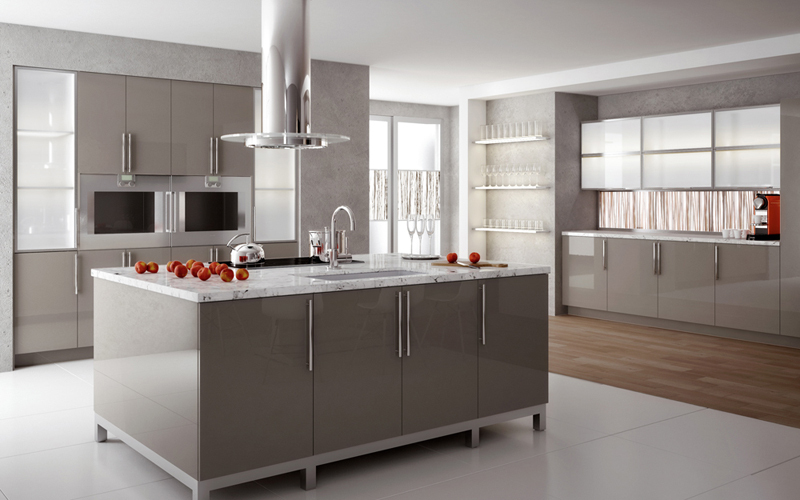 This classic contemporary kitchen features a gorgeous cabinet display designed with AF003 chrome finish aluminum frame cabinet doors with low-iron clear glass inserts for an immaculate view of the items within. The high gloss PARAPAN® doors and drawer fronts in alpine white are the ideal compliment and balance to the chrome finish doors. This luxury kitchen combines different colors, textures and materials including our aluminum frame cabinet accent doors in our AF003 profile with clear glass. The open layout includes plenty of cabinetry for storage and is perfect for entertaining. Cabinetry by Oakcraft for Toll Brothers. Element Designs high gloss PARAPAN® acrylic quality is unparalleled. Displayed, are high gloss PARAPAN® cabinet doors in Stone Grey and AF003 aluminum frame cabinet doors with satin glass inserts. Also featured, the custom patented lighting technology of °eluma DecoPanel features digitally printed glass inserts. The aluminum frame base system in BS001, complimented by sliding divider doors featuring satin glass and 3Form Bear Grass inserts makes for a modern and contemporary design. 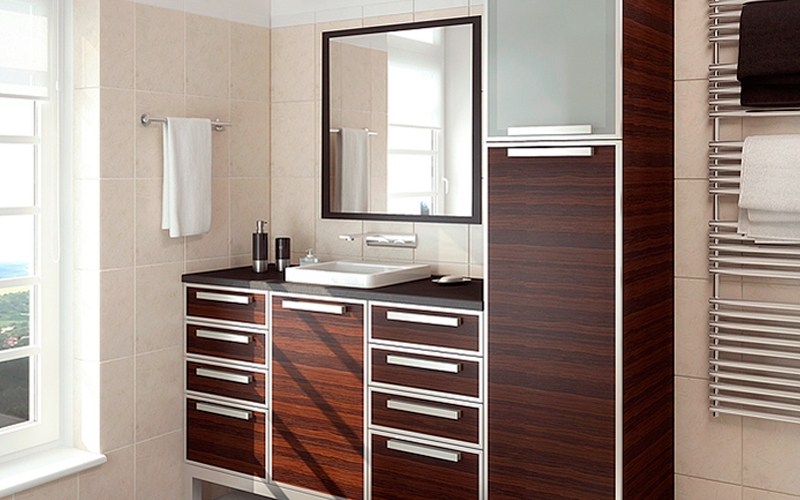 This unique contemporary bathroom design features our AF004 aluminum frame cabinet doors in natural aluminum finish with satin glass or customer provided veneer inserts. The coordinating aluminum frame base system in profile BS001 add another element of style. Image courtesy of Jim Bishop Cabinets. This transitional style kitchen exudes charm featuring AF002 aluminum frame cabinet doors in a brushed stainless steel finish with satin glass inserts. Image courtesy of Plain & Fancy Custom Cabinetry. 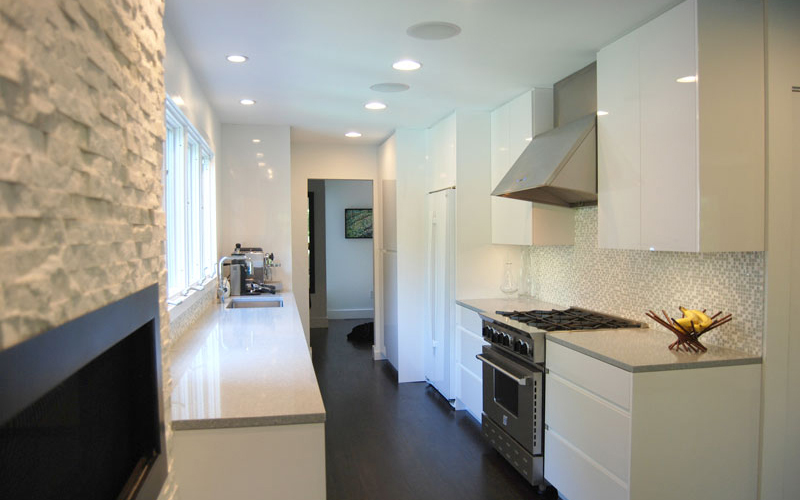 This modern white kitchen is a stunning representation of material combinations popular in current design trends. 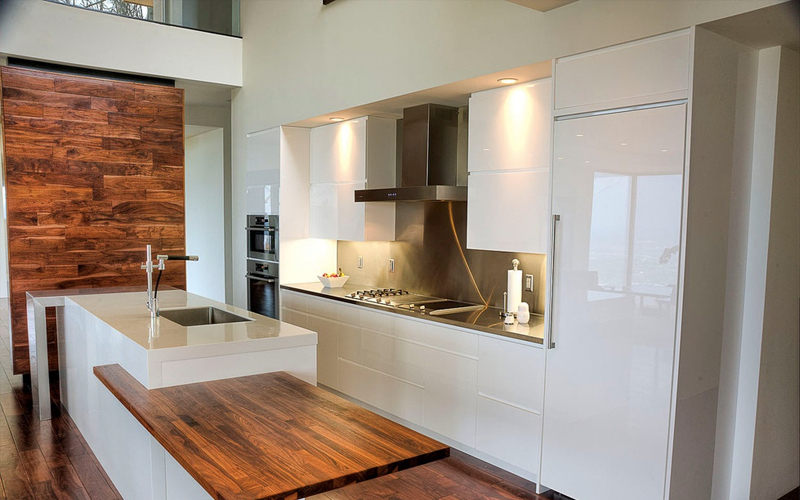 The warmth of wood counter tops provide a beautiful contrast to the high gloss finish of white PARAPAN® solid surface doors and industrial stainless steel backsplash. Image courtesy of Norcia Fine Cabinetry. 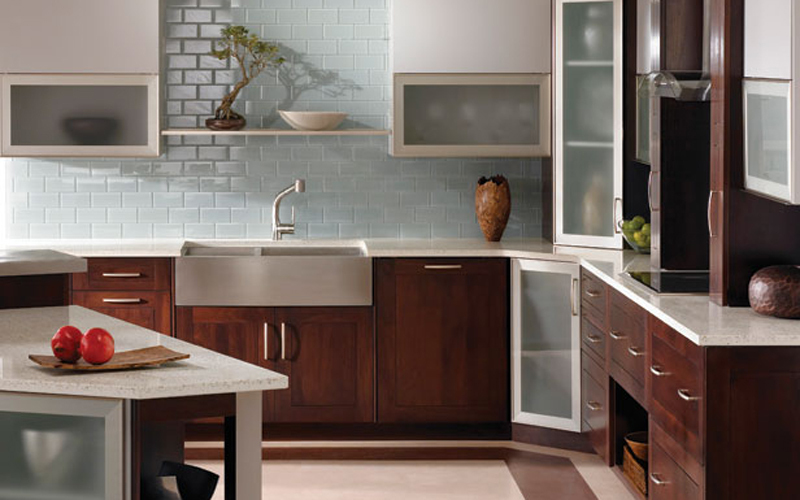 Vibrant color takes center stage in this modern high-gloss kitchen. 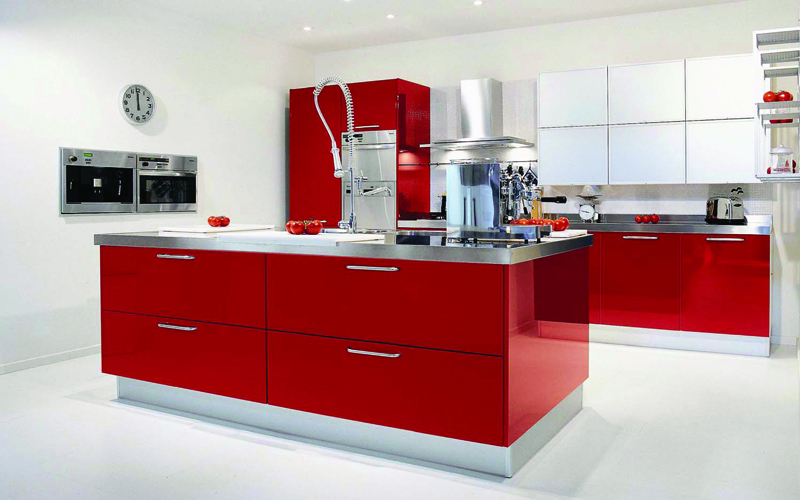 This kitchen features PARAPAN® solid surface doors and drawer fronts in Signal Red for the ultimate high-gloss finish. AF002 aluminum frame cabinet doors with platinum ice acrylic inserts add soft metallic accents to this design. Image courtesy of Kitchen Maestri. 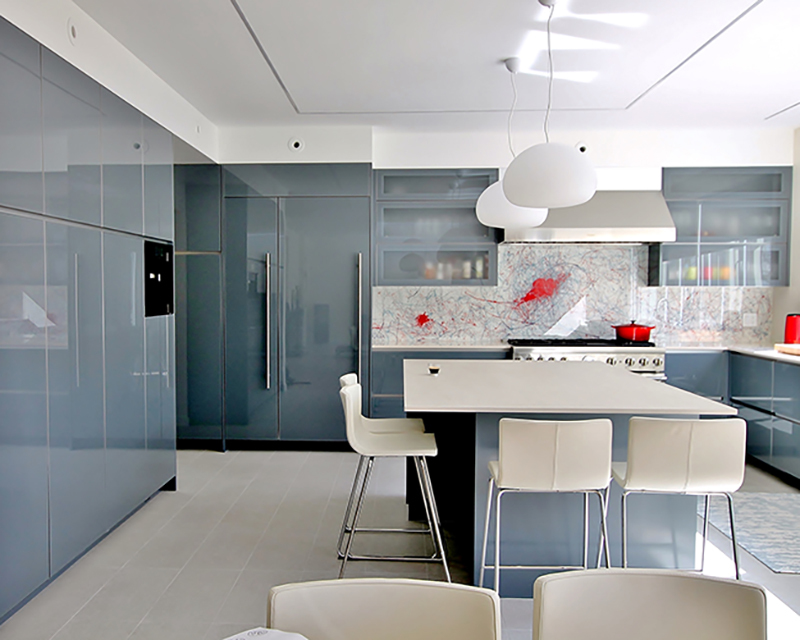 This bright and colorful kitchen combines high gloss, metal and glass finishes to create a fun, contemporary design. The centerpiece of this kitchen is an °eluma DecoPanel in a backsplash installation with a digitally printed glass insert. 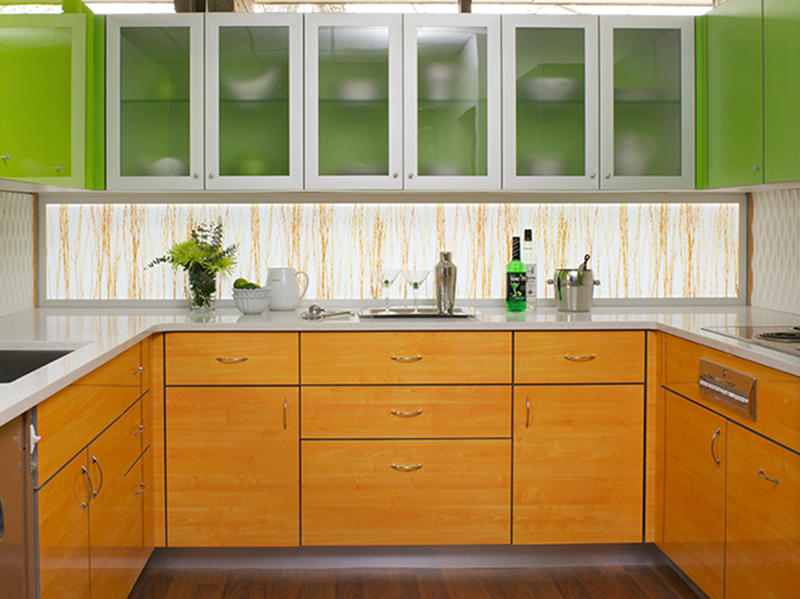 Classic aluminum frame doors with satin glass highlight bright green cabinet interiors. Image courtesy of Kabi Cabinets. This stunning kitchen design features our AF003 aluminum frame cabinet doors in natural aluminum finish with 3Form Fossil Leaf inserts. Image courtesy of Woodharbor Custom Cabinetry. This stunning high gloss PARAPAN® kitchen featuring our solid surface doors and drawer fronts in Alpine White takes contemporary kitchen design to the next level. 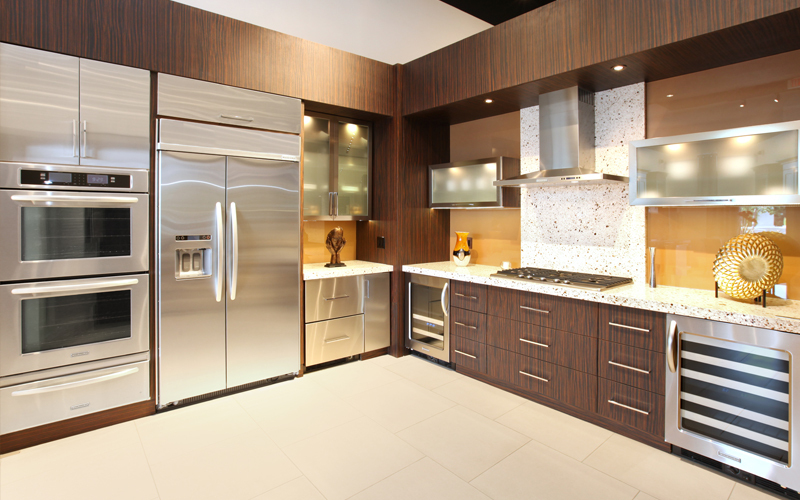 The aluminum frame cabinet doors add luxurious detail to this contemporary kitchen. 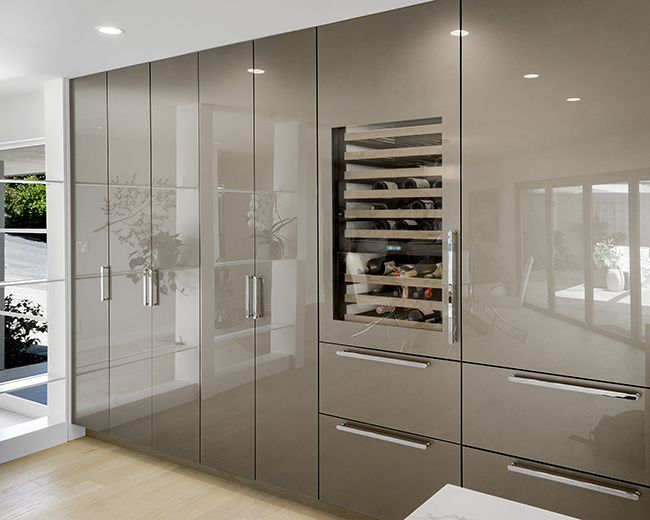 This design features our AF003 aluminum frame cabinet doors in brushed stainless steel finish with satin glass inserts. Image courtesy of the Kitchen Lady.